I can't do it! it must be done as soon as possible (Read: last monday). just wanted to let you know about Starpartys Mapcompetition #3 that came up unseen today (as it seems ^^). First off all: Sorry that it took a bit longer this time, the decision on this weeks MOTW was just harder as usual. 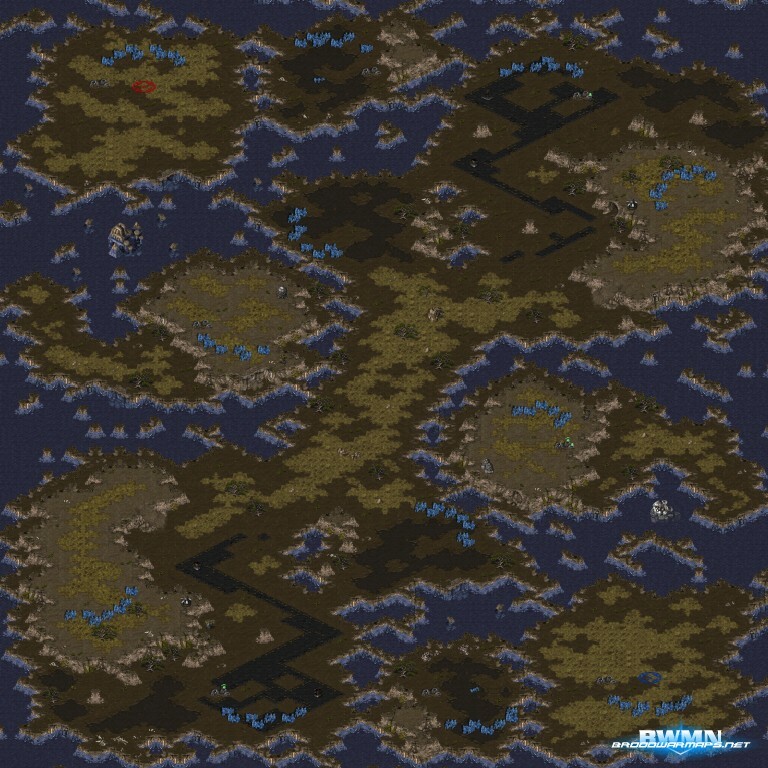 But we finally agreed on our newest Map of the Week, it's (2)Space River from Starparty ! 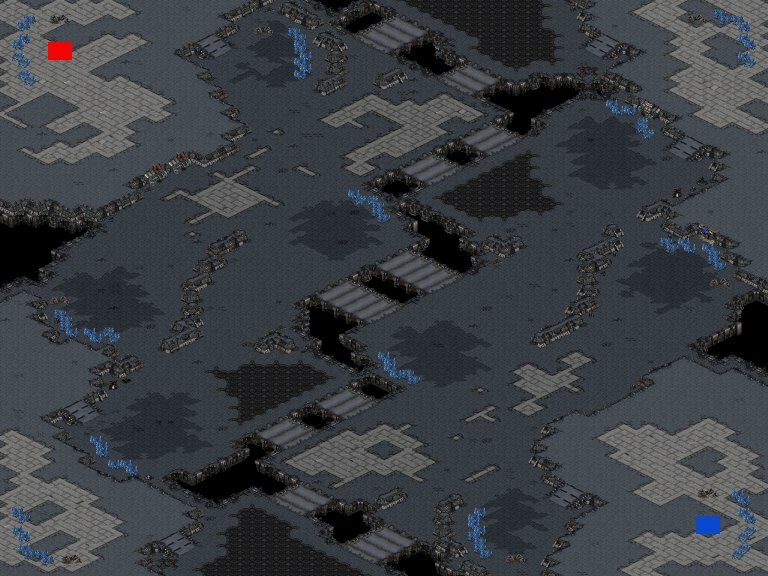 Again, Starparty created a neat and balanced map. Space River comes up with several routes to your enemy or his expansions. Almost every expansion is in range of Zerg Lurkers, Protoss High Templar or the well known Terran Tank, so you can do serious damage everywhere you want to, or simply show your opponent how to defend your sparkling mining area. So shake your hands, grab your mouse and your keyboard and download our Map of the Week 39! Go check out the map comments or download the Melee Version right away! Oh and, "There are currently 400 maps in the database." Woohoo!! :) But the search for the best maps is still not over, participate with your opinions on the next Map of the Week, just click here and post your sugguestions and comments. I accidently overwrote this MotW newspost (praise murphys law, it just had to be the one of my map...) and so i just post the picture again, hope it makes me feel any better. And here is the Melee Version Download and the comments page. I implemented some of the icons Listoric created into the newscript. You can simply compy&paste the HTML-Code when making a newspost. Most of the banners don't have a purpose imo. I don't see any news with the button "1on1" needed coming anytime soon. You can still use them if you want.